Posted on July 12, 2013 by Michelle M.
The Pride Festival is this weekend in San Diego, and Cooper is ready to celebrate! 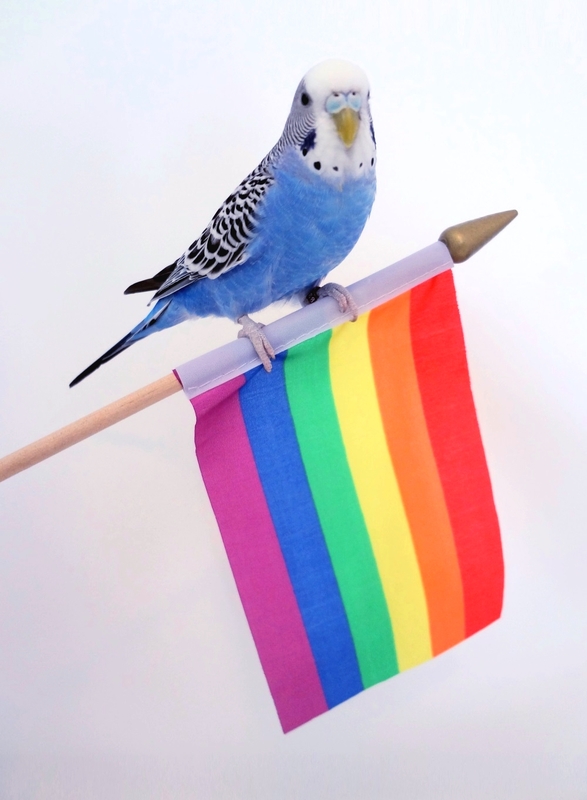 This entry was posted in Uncategorized and tagged budgie, Cooper, parakeet, Pride, pride budgie by Michelle M.. Bookmark the permalink. I didn’t see any budgie or millet related floats. They were very wee and easy to miss.